﻿ An An Hotel, Rach Gia (Kien Giang) | FROM $10 - SAVE ON AGODA! "Plenty of coffee shops and local places to eat near by." Have a question for An An Hotel? "Showed us a good cheap restaurant to eat." "Owner gave us a pot of fresh durian fruit." "On top of this they were incredibly friendly and nice." 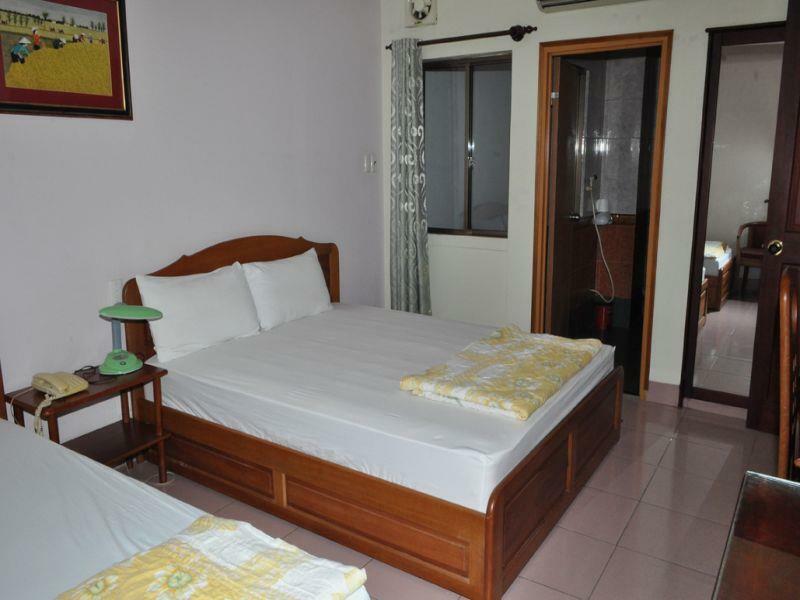 Whether you're a tourist or traveling on business, An An Hotel is a great choice for accommodation when visiting Rach Gia (Kien Giang). The city center is merely 1 km away and the airport can be reached within 25 minutes. With its convenient location, the hotel offers easy access to the city's must-see destinations. Offering hotel guests superior services and a broad range of amenities, An An Hotel is committed to ensuring that your stay is as comfortable as possible. For the comfort and convenience of guests, the hotel offers free Wi-Fi in all rooms, 24-hour front desk, luggage storage, Wi-Fi in public areas, family room. 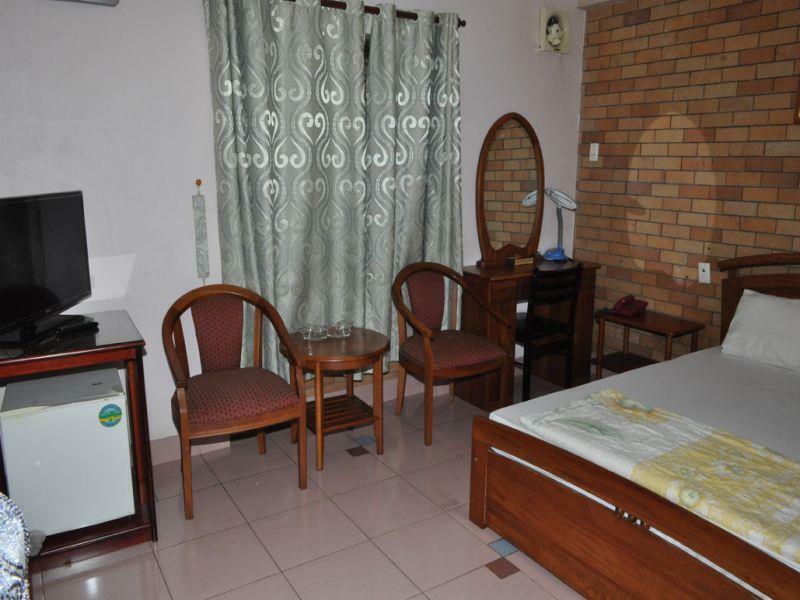 The hotel features 20 beautifully appointed guest rooms, many of which include television LCD/plasma screen, internet access – wireless, internet access – wireless (complimentary), air conditioning, mini bar. Besides, the hotel's host of recreational offerings ensures you have plenty to do during your stay. 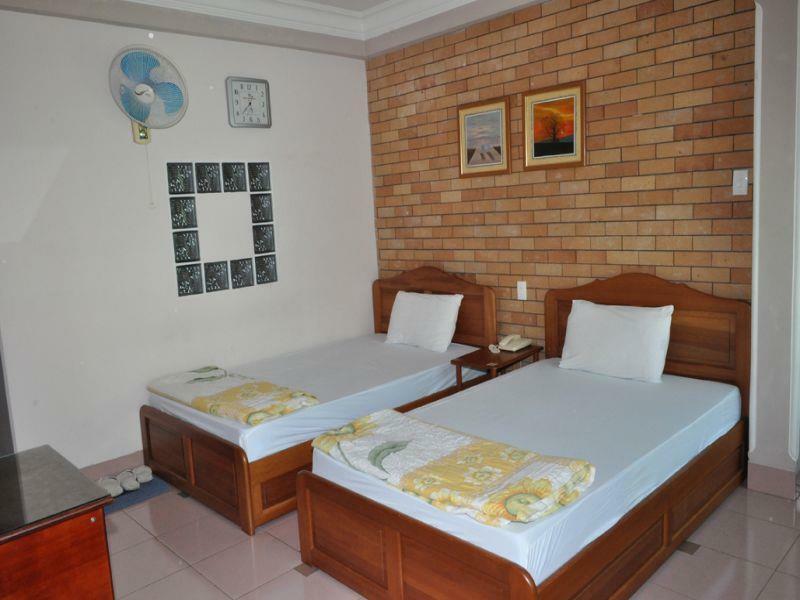 When you are looking for comfortable and convenient accommodations in Rach Gia (Kien Giang), make An An Hotel your home away from home. "Beds were comfortable and it was affordable." Sooo close to the bus station!!! Yet no noise from the station. Plenty of coffee shops and local places to eat near by. Only negative is the recording of the distressed birds on the surrounding buildings, it starts around 7am and goes on ALL day!!!!! Hotel needs a paint job. No hot water in my room. Staff gave me $50000vnd to compensate which was nice. Beds were comfortable and it was affordable. But would look elsewhere next time. Lovely welcome...gave us a lower room as too many stairs for us oldies...just round corner from bus station...showed us a good cheap restaurant to eat...recommend the chicken feet!... owner gave us a pot of fresh durian fruit...even managed to have a bath...great overnight stop couldn't wish for more!! Understanding that the hotel is quite old but the bathroom facility is unacceptable. We enjoyed our stay at An An, it's in the midst of Rach Gia's lively coffee culture scene and just a few minutes walk from the market and various food stalls. The room was small but perfectly formed, probably the cleanest we've stayed in in Vietnam. Would recommend. the Staff were so helpful when we had a discussion with a taxi driver who dropped us to the hotel. Before we had even checked in they took it upon themselves to argue with a taxi driver who was trying to over charge us for drop off from the out of town bus stn. I asked only for an opinion on the fare and they immediately stepped in and argued with the driver on my behalf. On top of this they were incredibly friendly and nice. The Room was very large, 2 double beds, cheap, clean and quiet. Happy with our stay there. L'hôtel n'a rien d'exceptionnel mais il est correct. Nous avons apprécié le calme de notre chambre près d'une rue assez passante et bruyante. La situation prés du marché est agréable. La salle de bain était sympa mais pas d'eau chaude pour remplir la baignoire, des fuites d'eau au lavabo et aux toilettes et un rideau de douche plus ou moins propre.... Nous avons loué un scooter à l'hôtel, il était correct mais sans plus.